Among the designers on GOLF's 2017-18 rankings of the Top 100 Courses in the U.S. and World one name reigns supreme: A.W. Tillinghast. Tillinghast, who died in 1942, has 13 designs on the Top 100 Courses in the U.S. ranking. His highest-ranked course is San Francisco Golf Club, which comes in at No. 16. His designs at Bethpage Black (23rd), Baltusrol, Lower (37th), Somerset Hills (38th), Quaker Ridge (39th) and Winged Foot East (41st) all landed in the top 50. Tillinghast also had seven courses on the Top 100 in the World list. Seth Raynor has 12 courses in the Top 100 in the U.S., Donald Ross has 11 and Pete Dye has seven. 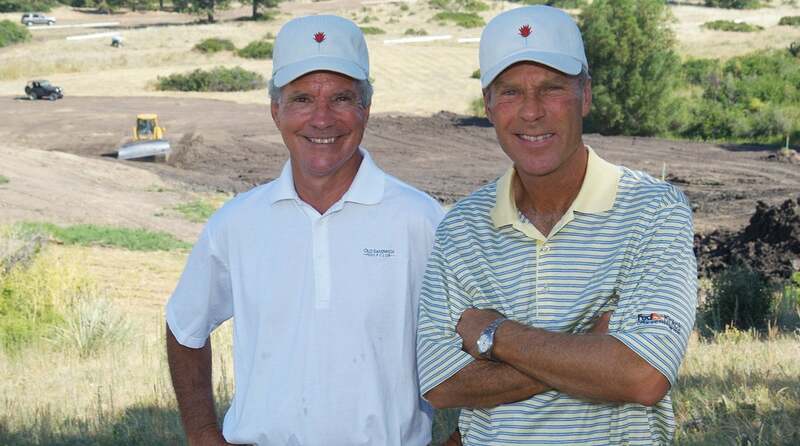 Alister MacKenzie, Bill Coore/Ben Crenshaw, C.B. Macdonald and Tom Doak all have six. H.S. Colt designed 10 courses in the Top 100 World ranking, the most of any architect on the list. His highest-ranked is No. 1 Pine Valley, which was originally designed by George Crump. Other top-50 courses he's been a part of are Muirfield (10th), Royal Portrush, Dunluce (14th), Sunningdale, Old (31st) and Royal St. George's (42nd). MacKenzie has eight courses on the Top 100 in the World list, and Old Tom Morris and Tillinghast both have seven. Courses: San Francisco Golf Club (16th), Winged Foot, West (18th), Bethpage Black (23rd), Baltusrol, Lower (37th), Somerset Hills (38th), Quaker Ridge (39th), Winged Foot, East (41st), Newport (71st), Baltimore, Five Farms East (72nd), Baltusrol, Upper (83rd), Ridgewood West/East (85th), Philadelphia Cricket Club (86th) and Sleepy Hollow (96th). Courses: Fishers Island (11th), Chicago (12th), Shoreacres (27th), Camargo (31st), Yale University (55th), Yeamans Hall (56th), Piping Rock (69th), Fox Chapel (81st), The Creek Club (90th), Monterey Peninsula, Dunes (94th), Sleepy Hollow (96th) and Mountain Lake (99th). Courses: Pinehurst No. 2 (10th), Seminole (14th), Oakland Hills, South (24th), Oak Hill, East (43rd), Inverness (44th), Plainfield (60th), East Lake (70th), Interlachen (75th), Scioto (79th), Essex County Club (82nd) and Aronimink (97th). Courses: Cypress Point (2nd), Augusta National Golf Club (3rd), Crystal Downs (15th), California Golf Club of S.F. (36th), Valley Club of Montecito (48th) and Pasatiempo (53rd). Courses: Sand Hills (9th), Friar's Head (21st), Bandon Trails (46th), Streamsong, Red (47th), Old Sandwich (50th) and Sand Valley (52nd). Courses: National Golf Links of America (5th), Chicago (12th), Yale University (55th), Piping Rock (69th), The Creek Club (90th) and Sleepy Hollow (96th). Courses: Pacific Dunes (17th), Ballyneal (42nd), Old Macdonald (57th), Streamsong, Blue (64th), Rock Creek Cattle Company (65th) and Sebonack (76th). Courses: Oakland Hills, South (24th), Peachtree (49th), Spyglass Hill (54th), Congressional, Blue (77th) and Hazeltine National (93rd). Courses: Crystal Downs (15th), Prairie Dunes (19th), Southern Hills (34th), Old Town Club (59th) and Colonial (92nd). Courses: Wade Hampton (58th), Shadow Creek (61st), Monterey Peninsula, Dunes (94th) and Gozzer Ranch (95th). Architects with three courses each: George Thomas Jr., William Flynn and Jack Nicklaus. Courses: Pine Valley (1st), Muirfield (10th), Royal Portrush, Dunluce (14th), Sunningdale, Old (31st), Royal St. George's (42nd), Woodhall Spa, Hotchkin (66th), Sunningdale, New (80th), Koninklijke Haagsche (81st), Royal Porthcawl (85th) and Swinley Forest (87th). Courses: Cypress Point (2nd), Augusta National Golf Club (5th), Royal Melbourne, West (11th), Kingston Heath (20th), Crystal Downs (24th), Lahinch, Old (35th), New South Wales (43rd) and California Golf Club of S.F. (73rd). Courses: San Francisco Golf Club (25th), Winged Foot, West (27th), Bethpage Black (52nd), Baltusrol, Lower (74th), Somerset Hills (75th), Quaker Ridge (78th), Winged Foot, East (83rd). Courses: Royal County Down (4th), Muirfield (10th), Royal Dornoch, Championship (15th), Carnoustie, Championship (28th), Lahinch, Old (35th), Machrihanish (88th) and Prestwick (100th). Courses: Sand Hills (13th), Friar's Head (33rd), Shanqin Bay (39th), Cabot Cliffs (50th) and Barnbougle, Lost Farm (90th). Courses: Pinehurst No. 2 (18th), Seminole (23rd), Oakland Hills, South (53rd), Oak Hill, East (93rd) and Inverness (98th). Courses: Pacific Dunes (26th), Tara Iti (29th), Barnbougle Dunes (38th), Cape Kidnappers (44th) and Ballyneal (86th). Courses: Casa de Campo (48th), Kiawah Island Ocean (54th), Whistling Straits, Straits (58th), TPC Sawgrass Stadium (60th) and The Golf Club (79th). Courses: Fishers Island (19th), Chicago (21st), Shoreacres (57th) and Camargo (63rd). Architects with three courses each: Kyle Phillips, Tom Simpson and Perry Maxwell.